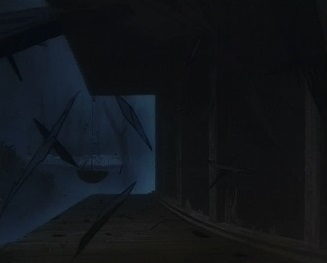 At a dojo, some of the walls are suddenly blown apart. 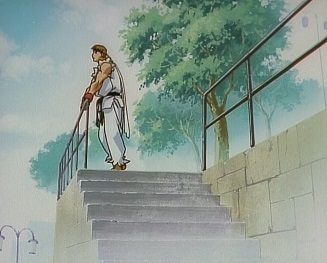 Ryu walks outside, wondering about this evil ki he can sense. 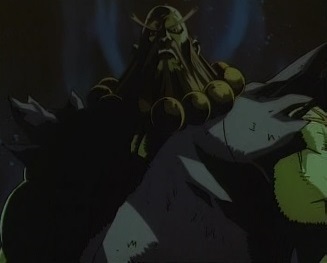 Is it something to do with Akuma? 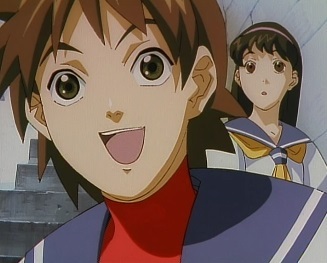 The next day, Sakura Kasugano and her friend Kei Chitose are talking about what they want to do. 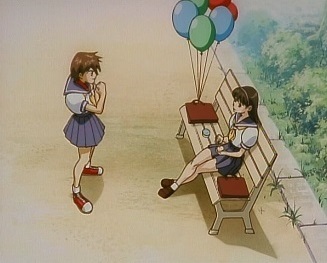 Kei wants to go shopping, but Sakura says she can't as she's got special training to do -eating hot dogs. Someday she wants to go to America and enter a hot dog eating contest, and win it so she can get into the Guinness Book of World Records. 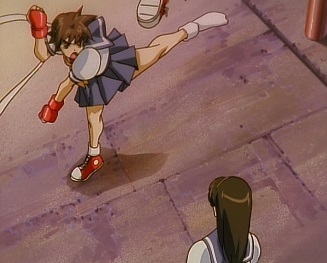 Kei thinks there really is something wrong with her, but Sakura maintains she will train really hard. Nearby, Ryu is looking out at the sea. 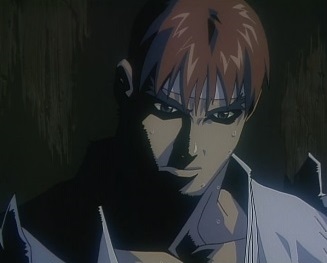 He thinks about how Akuma used the dark hadou, and killed his master, Goutetsu. 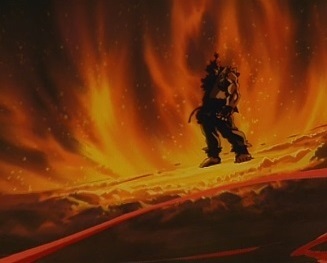 He also murdered Ryu's master, Gouken. 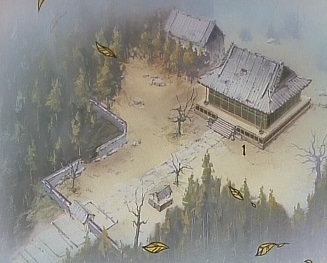 Back at Ryu's dojo, the caretaker is sweeping up when he sees a boy has appeared. The boy says he is here to see his big brother: Ryu! 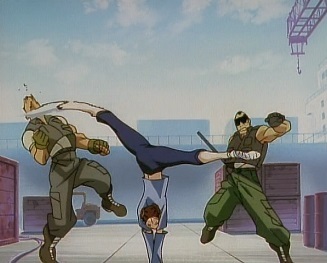 Back at the docks, Interpol agent Chun-Li and her partner, Wallace, engage some criminals. 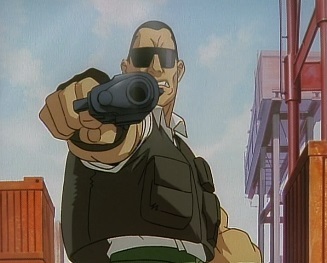 But the criminals start using guns, and as they run past some people, Sakura wonders if this is for a movie or something. But then she realises that there are no cameras around. 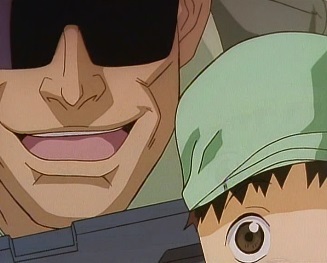 One of the criminals takes a kid hostage, but Ryu enters the battle. 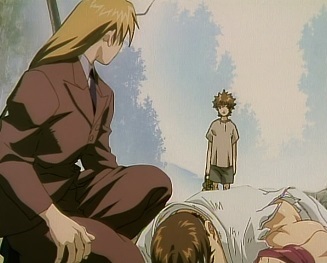 He disarms the criminal and takes him down, before carrying the kid over to where Sakura and Kei are, asking them to watch over the kid. He then goes back and quickly finishes off the remaining punks. 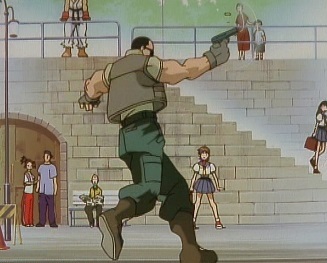 Chun-Li watches as Ryu slips between bullets as if it was nothing, and soon the gang of criminals has all been defeated. She wonders who that man was, and returns to the Interpol HQ to do some research. 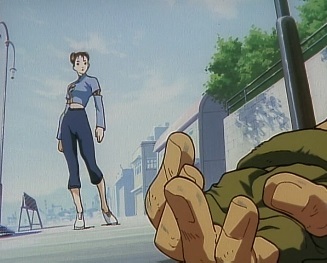 She finds out that the martial artists she saw was Ryu, a man who defeated Sagat, the powerful Muay Thai Emperor. 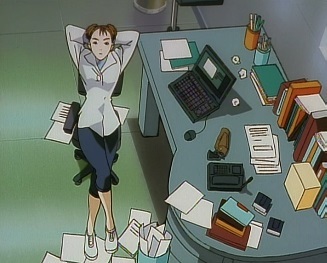 Wallace then comes in, and thinks Chun-Li is up to something naughty judging from how quickly she turned off her laptop, but he then tells her that the criminals they've caught were working for Shadowlaw. 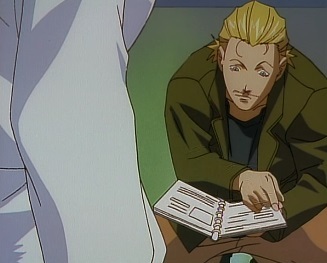 He mentions that the criminals have told them that Shadowlaw is sending large amounts of money to a biologist by the name of Professor Sadler. 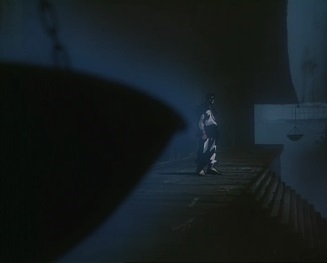 And it seems that this Sadler is gathering together martial artists from around the world, in one of his labs. 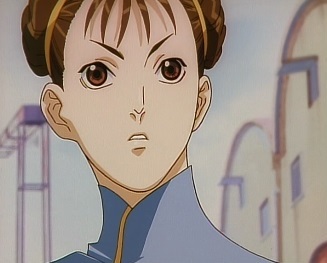 Chun-Li wonders if her father could be there also. 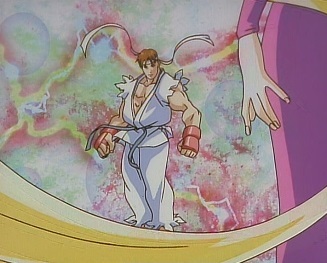 Elsewhere, Ryu is heading back to the dojo with some water, when a card falls into his bucket. Suddenly, he seems to be somewhere else, as lots of identical women surround him! 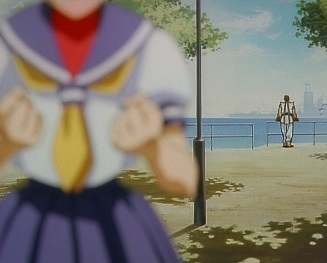 He can tell that most of them are just images, and quickly finds the real one, but gets blasted back when he attacks. Most of the women vanish, until one one is left. She says that he will soon meet someone who will change his destiny, and through that meeting, he will change. Will he grasp the light, or be swallowed by darkness? 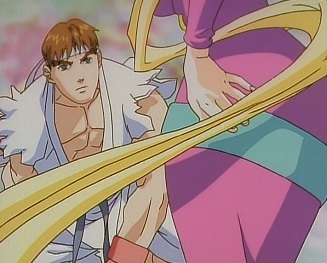 Ryu says he doesn't get it, and wants to know who she is. 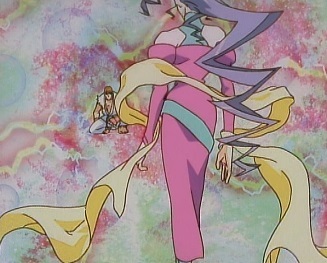 She says her name is Rose, and summons card which Ryu takes. 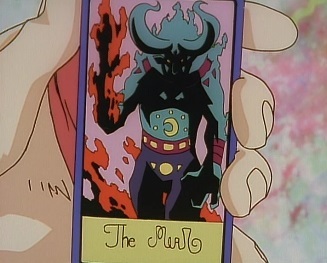 She explains that the card is meant to call up the devil. 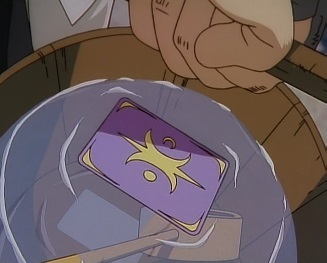 Suddenly Rose vanishes, as does the card Ryu was holding. 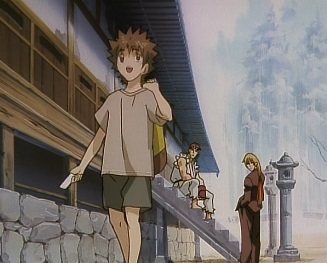 As the scenery returns to normal, Ryu sees that Ken has appeared. 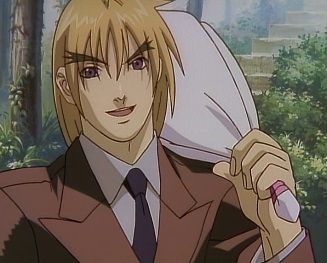 He says hi and notices that Ryu looks a little out of it. 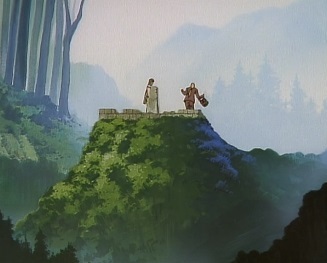 The two of them walk towards their master's grave. "An interloper interrupted me. 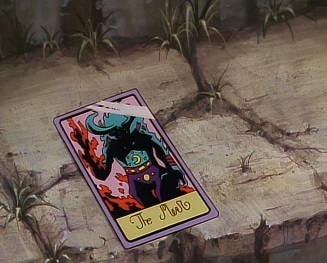 Will he become the trump card? 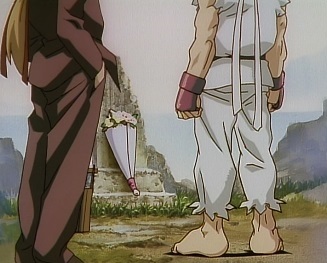 Or..."
Ryu finds out that Ken came all this way just to pay his respects to their deceased master, but he says he has some other business to also take care of. He can tell something is wrong and asks Ryu what is on his mind, but he doesn't mention it and instead says how their master, Gouken, was like a father to him, as he never knew his real parents. Ken says he'll go and get some more water and runs off with the bucket. 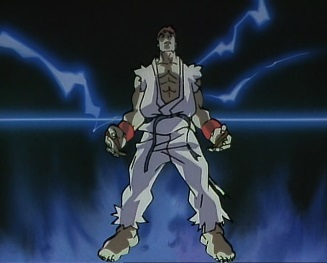 Seconds later, Ryu suddenly feels how the blood in his body is boiling, and a voice calls out to him. 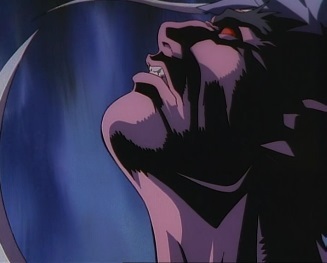 The voice tells him to open his eyes to the evil hadou, which lies within him. 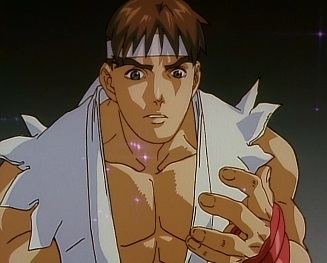 Ryu can't tell what is happening to himself. 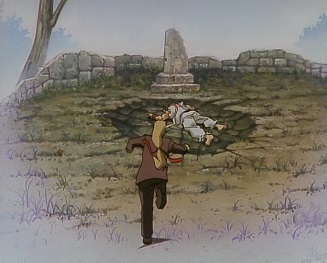 Ken hears an explosion and runs back, finding Ryu face down in a crater. 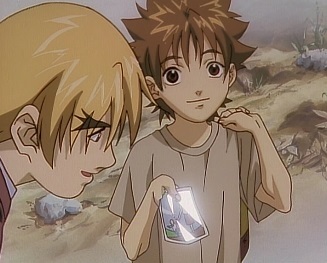 As he tries to get his buddy up, he senses someone else nearby and turns around to see a boy looking at him. 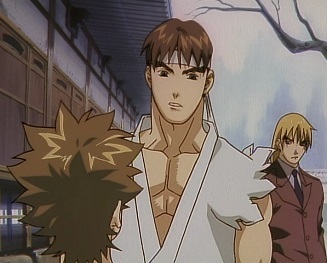 Later on, the three head back to the dojo, where Ken learns that the boy's name is Shun -and he is Ryu's brother! 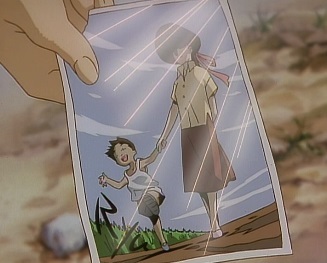 Shun says he's been looking forward to meeting his big brother, and shows a photograph of their mother. 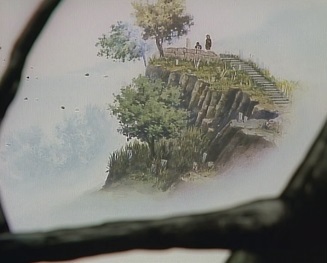 The picture has the name "Ryu" scrawled onto it in the bottom left corner. 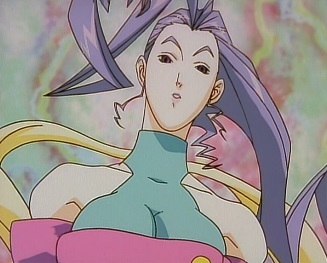 Shun explains that he used to live with her in Brazil, and she used to tell him that his big brother lives in Japan. She also told him that she had a good reason for doing what she did, which was leaving Ryu in the cart of Gouken right after he was born. 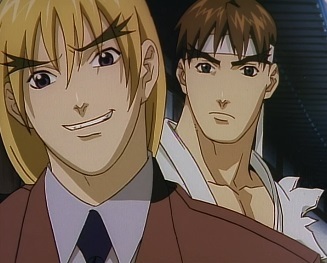 Ryu and Ken realise that Shun might be telling the truth, as nobody else but them would know of Gouken taking care of Ryu. 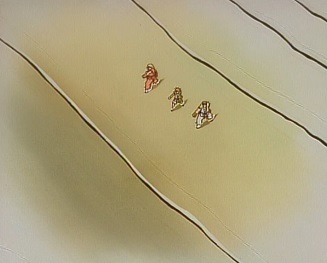 Shun explains that that was all their mother left him, as she died six months a go. So he came in her place. 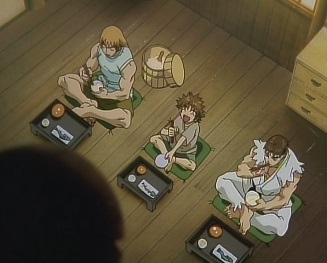 Later on the trio have a quick meal, and whilst Shun wants more, Ken wonders why he has to eat with them. 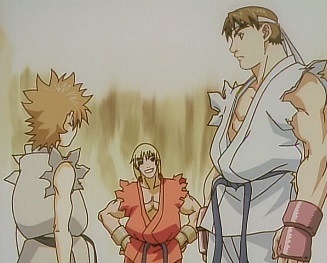 Shun says he's Ryu's little brother, so he gets to hang out with them. Ken still questions why he has to sleep with them, especially as he snores. 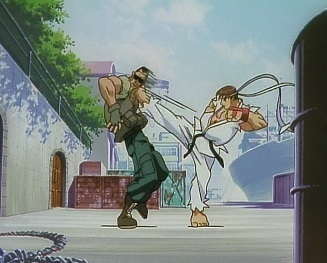 The next day, the three head out to a beach to train, and Shun shows that he is also a martial artist. 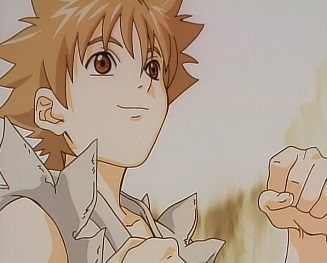 Shun says he started to learn ever since he found out that his big brother was a fighter. He then mentions their father, but then trails off. 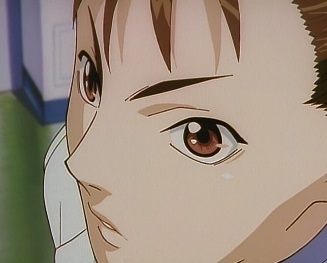 Ken hears him though and asks him about his father. 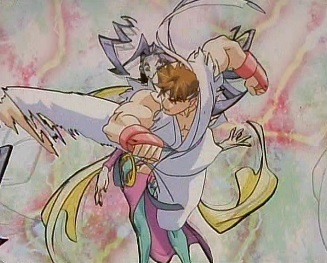 Shun doesn't give an answer though, and Ryu tells Ken to drop it. It doesn't matter to him. 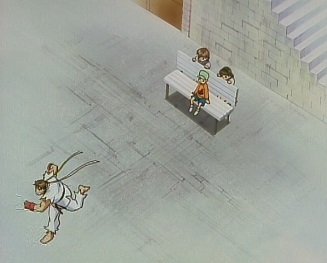 Shun then challenges Ryu to a sparring match, and two start to fight in the sea. 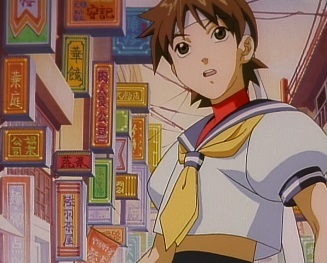 Elsewhere, Sakura is trying to find Ryu, and runs around town bothering people. 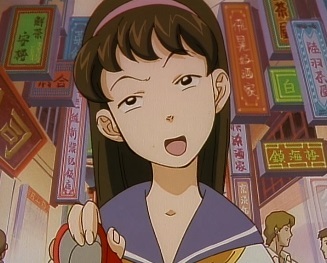 She keeps seeing poten Ryus around the place, but they never are the genuine article. Kei is fed up of running around, but Sakura is still determined. She wants to see that man again! 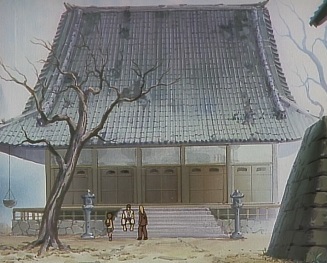 Back at the dojo, Ryu and the others are on the roof, as Shun brings them some food: pork and beans. Ken likes it! 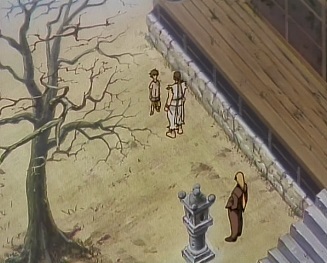 Shun wonders why they are up here, but Ken tells him to keep quiet and to enjoy the view. 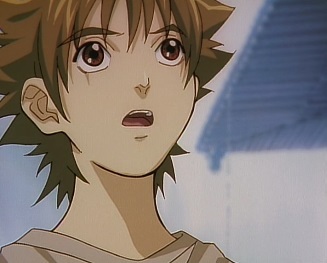 As they watch the sun set, Shun says that their mother would look towards the setting sun and pray for tomorrow to be a good day for her, for Shun, and for Ryu, who was so very far away. 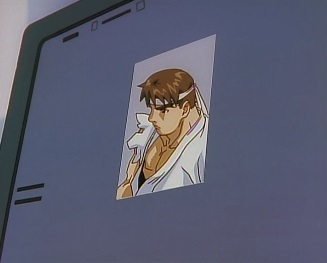 That night, Ryu is looking at the picture of his mother when he suddenly feels the dark hadou again. 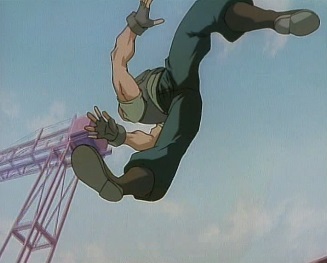 Ken wakes up, feeling the evil ki, and sees that both Ryu and Shun are gone. 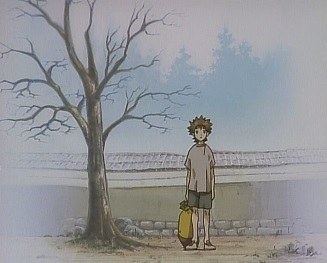 He runs outside and sees Ryu. 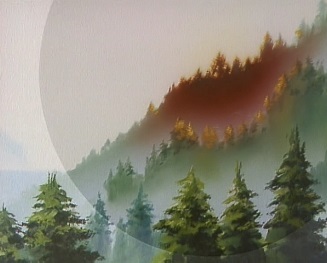 Ryu is screaming, and releasing projectiles. 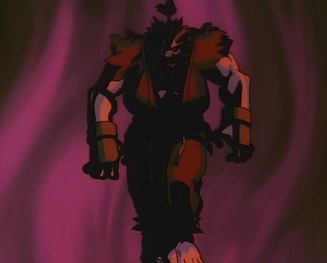 Ken avoids them and takes cover behind a tree, knowing that this is something his master once told him about -this is the dark hadou. 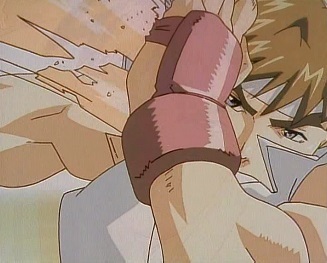 He runs forward and punches Ryu in his stomach, telling him to snap out of it. 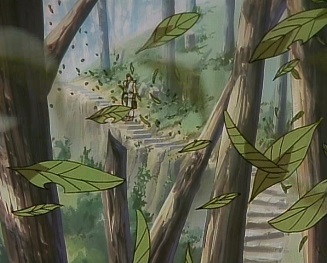 Ryu seems to calm down, and as Shun appears, he walks up to his brother. 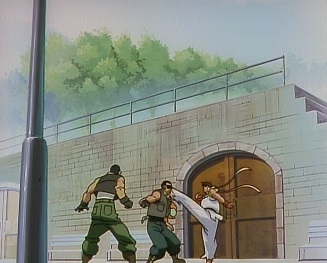 But Ryu tells him to stay back. Ryu returns to the dojo, and thinks about what Gouken told him. 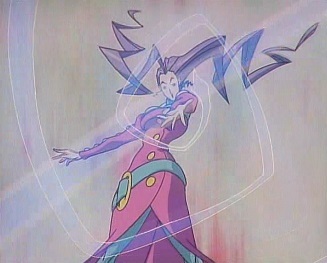 Their style was originally used for killing. 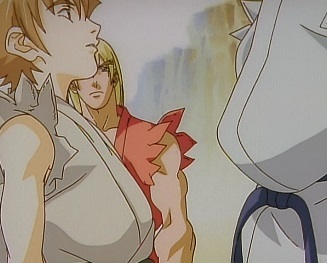 The wish to become the strongest of all...Gouken told Ryu that he must never let such a desire rule him, or allow the dark hadou into his fists. 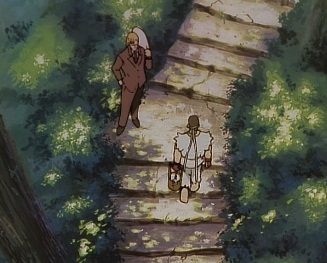 Akuma chose this path, and his hands are now stained with the blood of his own master, Goutetsu. 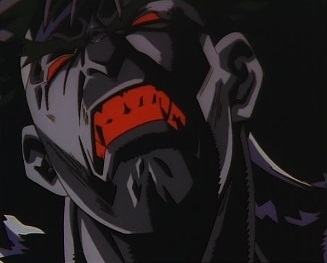 Ken then enters, and asks why the dark hadou has started to awaken inside him. 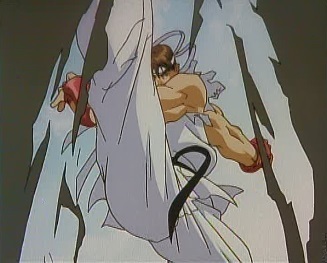 Ryu says he doesn't know, but asks Ken to kill him should he be unable to break free from the dark hadou. 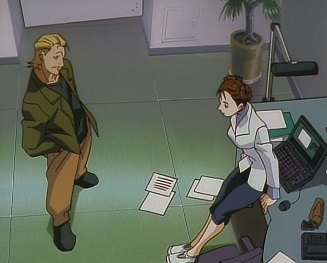 Back at the Interpol HQ, Wallace tells Chun-Li that Sadler is going to Japan. It seems a street fighting competition is being held if Kabuki Town, and the winner will receive a large amount of prize money. 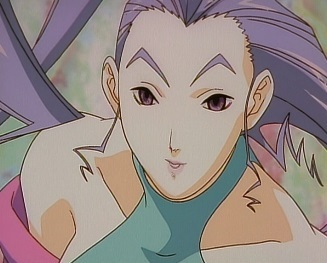 Chun-Li asks if Sadler will be there, and Wallace believes he will. 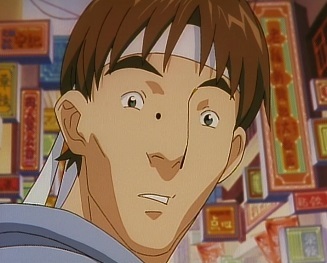 Back at the dojo, Ken happens to be talking about the same competition, and how he came here to enter it. 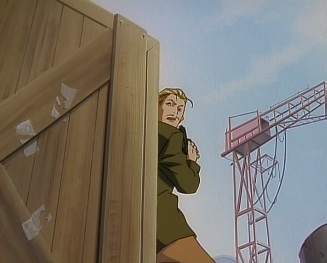 Shun then appears, saying he wants to enter it also. 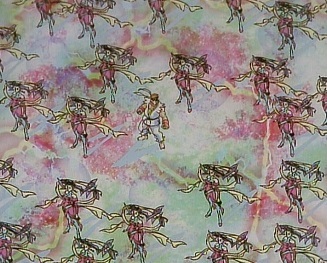 Ken is amused by the bandanna he is wearing. 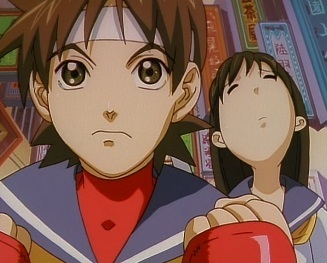 Shun asks if Ryu is going to fight, but he says he's not -this time. 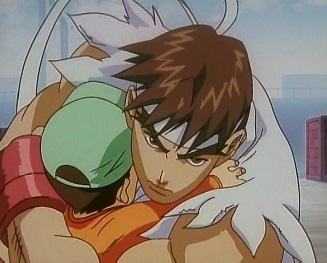 Shun's bandanna then falls down over his eyes, so Ryu walks up to him. 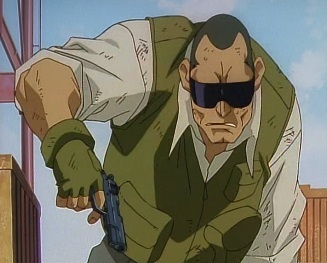 He removes his own bandanna and tells him to try tying it again, like this. 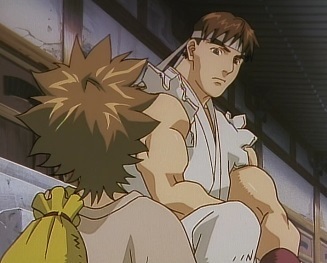 Ryu puts his bandanna back on and says that that he always asks himself a question whenever he does this: is he worthy of this fight? 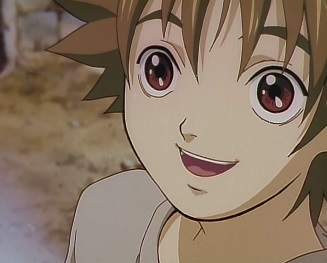 He asks Shun if he understands.